Ahhh! Don't make me choose. Okay fine, I'll do it. 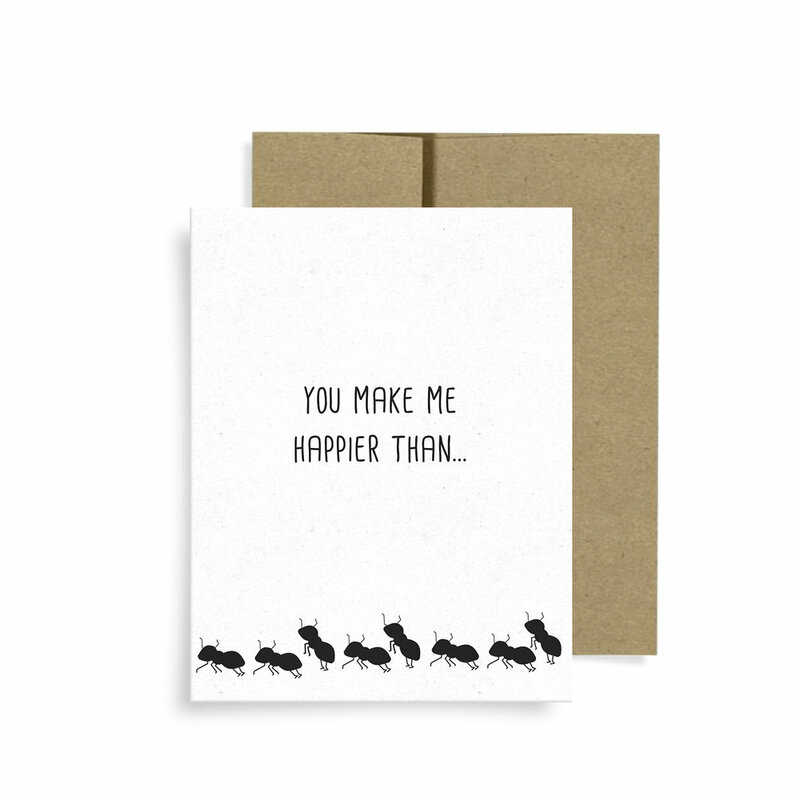 My favorite card is the one that says "You make me happier than...a mouse in a cheese shop." When I came up with the "Happier Than" series (there's more cards to come!) it was fun to personify animals. I see mice all the time in New York (kind of cute, mostly gross) and I thought, what does paradise look like for a mouse? When is it happiest? I honestly don't think it's when they're running in fields. I think it's being in either a) a NYC apartment or b) eating cheese in a cheese shop. I went with b because I thought more people could relate. 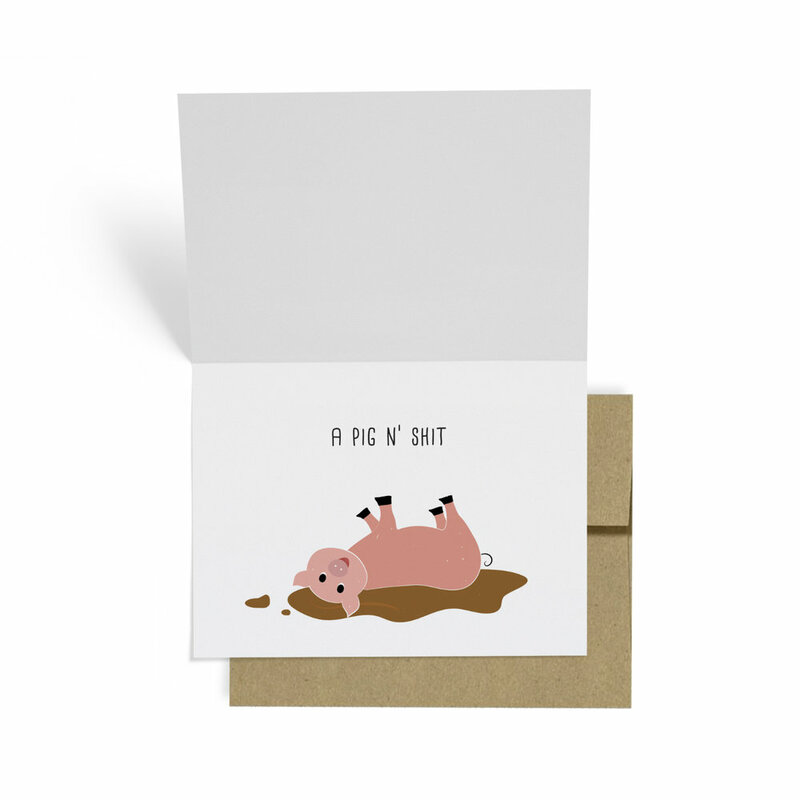 Let me be clear: I don't like mice, but man do I love this card. And the design by Carmelle totally brought this idea to life! It looked better than I even imagined. How did you all decide on Neighborly as a brand name?